Arrow Electronics Uses NCAA Hoops to Rollout B2B Corporate Branding – StratGo Marketing. Plug-in marketing department services. I love college basketball and marketing. That’s why I quickly grabbed my smartphone to learn more about Arrow Electronics after seeing their new Innovator’s Club commercial Saturday night during the NCAA Final Four men’s semifinal basketball game. I needed to know more about who they were, what they were doing and why they decided to unveil a major new branding campaign during the Final Four. After all, when a $20 billion company launches a branding campaign, I’m interested. Arrow’s marketing is yet another example of a B2B company using consumer marketing channels to reach a business audience. That’s smart, though, as both audiences and communication vehicles continue to converge. But, I’m still trying to figure out exactly what they’re doing. There are multiple objectives and you have to work a bit to make sense of and truly understand the depth of the communication (e.g., enabling “five years out” innovation). One question: will customers make the time to engage with the Arrow brand? Oh, the launch ad is captivating and beautifully produced. You can watch more of the campaign on Arrow’s YouTube page. Is awareness really the marketing challenge? After all, as a “supply channel partner for over 100,000 original equipment manufacturers, contract manufacturers and commercial customers through a global network of more than 470 locations in 55 countries,” Arrow seems pretty well-known (company website). “It would be nice if the rest of the world knows who we are.” (Richard Kylberg, Vice President of Corporate Communications and Global Marketing). I think the campaign will generate attention. The key is what happens next. I hope Arrow has prepped its sales and customer facing teams to handle the likely questions and inquiries. Doing so can produce good outcomes if done well. Overall, Arrow has embarked on a signficant marketing and branding initiative, most likely with a sizable financial commitment. Hopefully, the marketing team has a tight scope, along with a set of tracking metrics, and senior management buy-in. I wish them success. Arrow Electronics has invested in a major corporate branding campaign with an attention-getting idea called The Innovator’s Club. National TV was used to reach a B2B target. The marketing looks like it can produce the attention that Arrow seeks, although a full understanding and appreciation of the company’s message probably requires a bit of effort from customers. Very interesting post – I unfortunately missed seeing the spot on TV. Agree that this is a head-scratcher – – very high-concept, extravagantly produced, and seems aimed mostly at creating a bigger corporate image rather than drive any business. After seeing the spot I went to the site to see what cool things they were working on – – and it turns out to be very strange. There is an ‘Innovator’s Club’ area with a dozen or so additional :15 and :30 vignettes, which seem to feature employees but you’re not really sure. There’s definitely no mention of anything Arrow is doing. There’s unfortunately also a ‘Behind the Scenes’ 4-minute mini-feature, which seems the ultimate conceit and suggests that the production, rather than the impact of the message, was the main attraction. 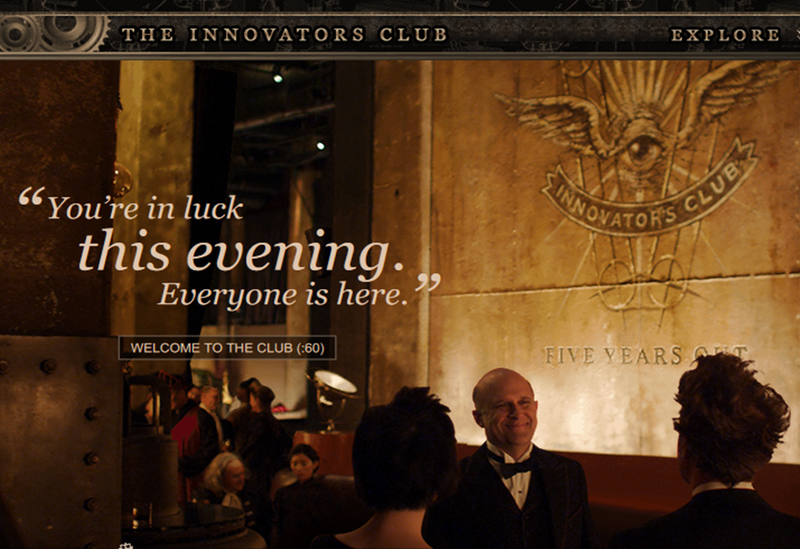 There is an obligatory sign-in page to join the Innovator’s Club, but I had no idea what that even is. The rest of the site looks like any other e-commerce site (think Grainger) – -and clearly not connected at all to the Innovator’s Club messaging or imagery. So while they have an array of different spots they could potentially use to extend the message, since the message (or desired action) isn’t clear, they should focus on integrating their commercial efforts with this concept and save the videos for their site and YouTube.